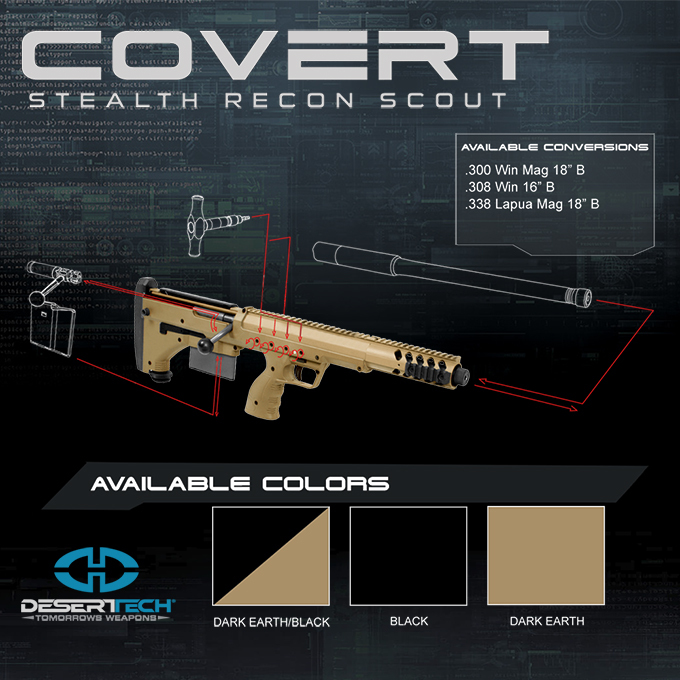 Desert Tech is known for their modular, compact, accurate, and convertible bullpup rifles. 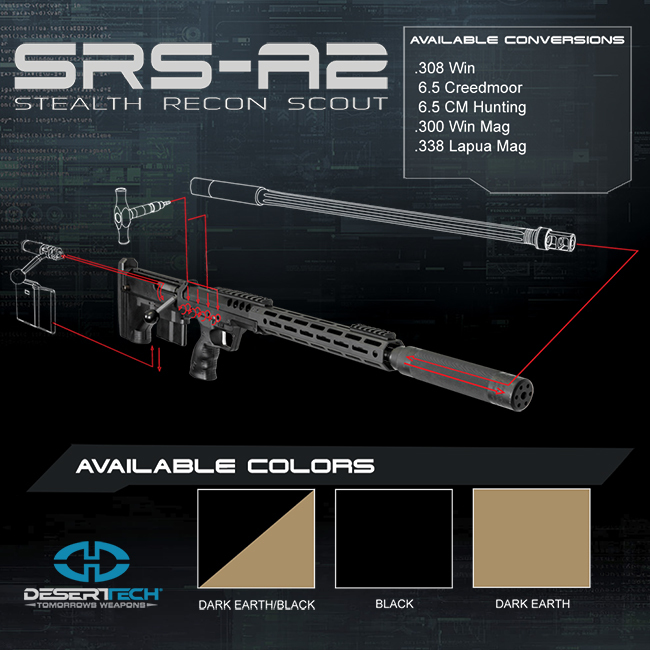 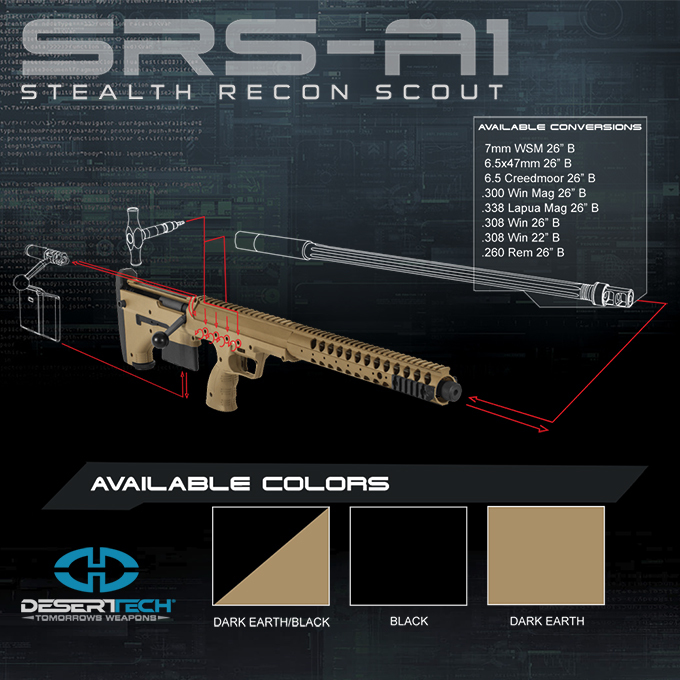 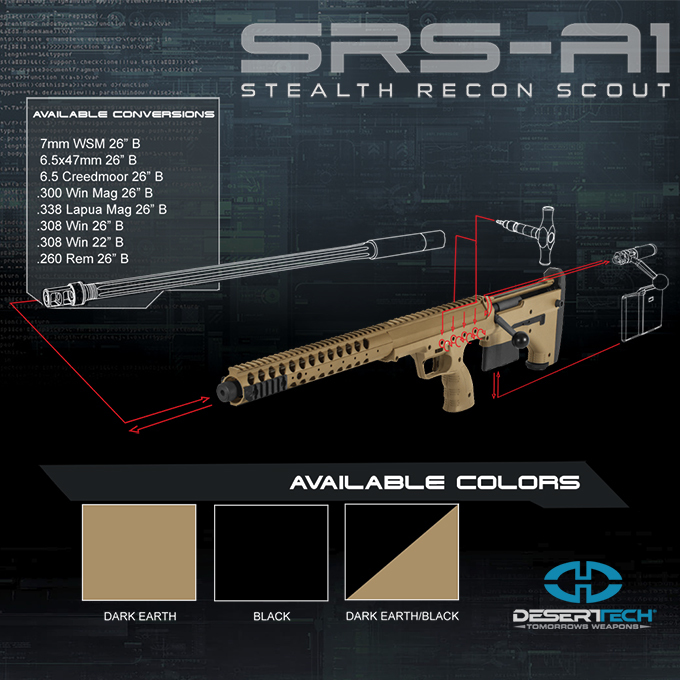 The SRS A2, SRS A2 Covert, and HTI rifles need to be bought as a separate conversion kit and chassis. 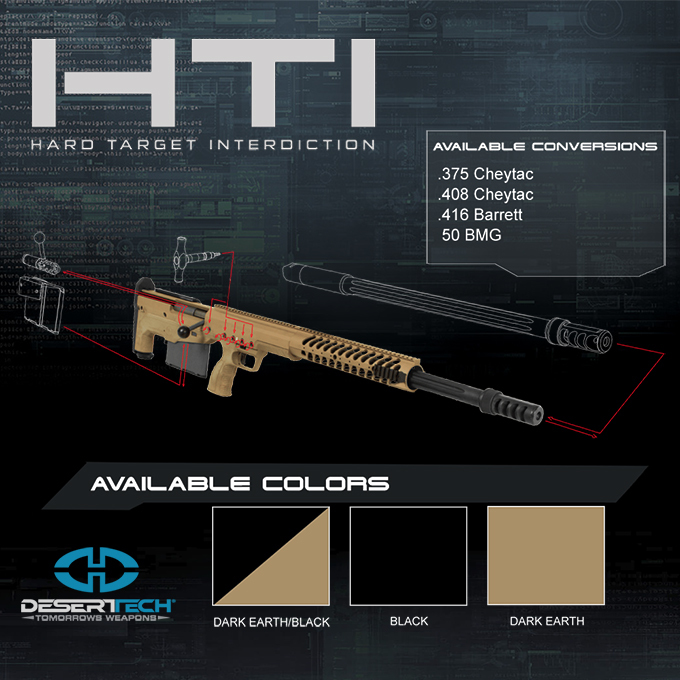 These kits allow you to choose your chassis and conversion kit in one easy step. 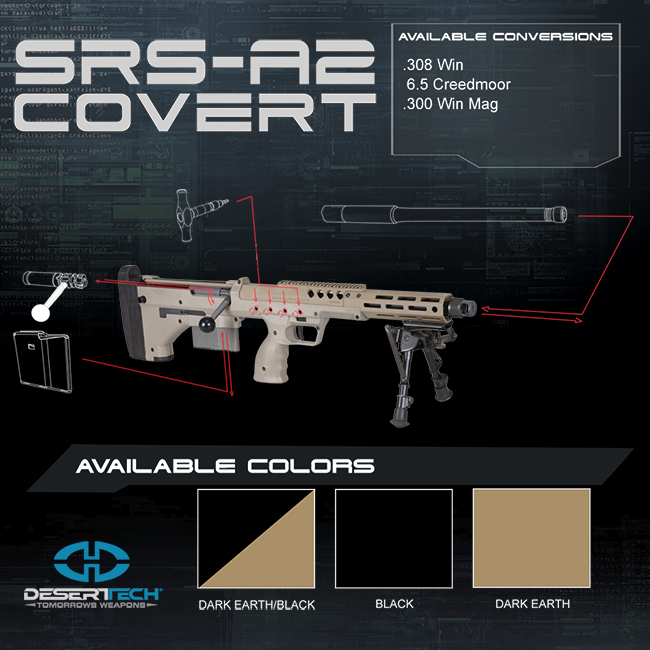 You can purchase additional conversion kits and chassis on our website as well. 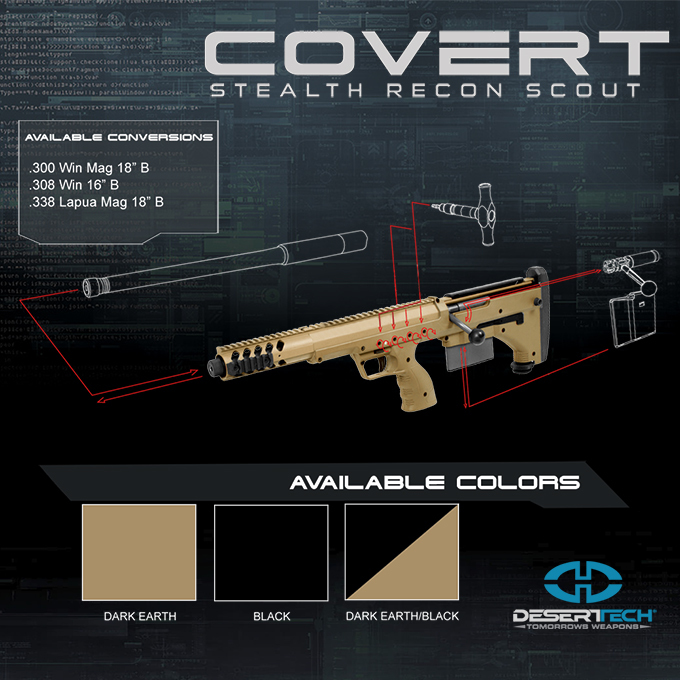 Or pick up some ammunition, cases, muzzle devices, and other parts & accessories for your new rifle build kit.